Despite workplace safety standards that have been in place for decades, on-the-job exposure to toxins remains a leading cause of injury. In fact, on a recent list of the Five Jobs Most Likely to Make You Sick, exposure to toxins and chemicals were the cause of illness for both the number one and number two jobs. While the job found most likely to make you sick was agriculture (because of exposure to fertilizer), the number two job on the list was construction work. Construction workers have such a high rate of job-related illness as a result of asbestos that can cause asbestosis, lung cancer and mesothelioma. Victims who suffer from these conditions because of their jobs need to talk to a mesothelioma law firm in Massachusetts as soon as possible for information on how to pursue a damage claim. Since Asbestos has been tightly controlled for decades, you may believe that the big risk of asbestos exposure has passed. After all, construction workers in the past routinely were exposed to asbestos in many of the products used, from insulation to the popcorn applied to ceilings so often in the 1970’s. Today, this should not happen since products aren’t made with asbestos any more. The reality, however, is that as many as 1.3 million construction workers are currently being exposed to asbestos. It may take as long as 40 years for these workers being exposed on the job today to get sick and develop asbestosis or mesothelioma. These conditions will develop slowly because asbestos fibers can build up in the lungs, causing scarring and causing cancer cells to form. Because of the dangers and the high risk of exposure, people who work in construction or other industries where they could be exposed to asbestos are advised to talk to their doctors. There are guidelines for routine screening for lung cancer that should also apply to workers potentially exposed to workplace asbestos. Smokers between the ages of 55 and 80 who have a 30+ year history of smoking should have an annual lung cancer screening. People with risk factors including occupational exposure to asbestos should also have annual screenings. As preventive medicine for people potentially exposed to asbestos, the lung cancer screenings should generally be covered by most health insurance plans. The screenings could catch mesothelioma before the cancer grows and spread, which could potentially help to make this serious and aggressive form of cancer more treatable. When mesothelioma or asbestosis is identified, it is important to carefully document the medical findings and to contact an attorney. It is possible for victims of asbestos-related illness to take legal action to recover compensation from the manufacturer of the asbestos products. 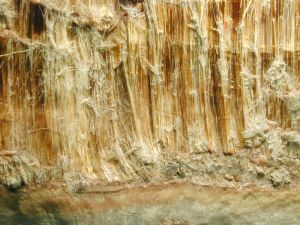 In some cases, a workers’ compensation claim can also be filed for benefits provided it can be shown that the asbestos exposure was work-related. For people in the construction industry, there is usually a lot of evidence to show that there was sufficient exposure to asbestos at work to cause illness.